Cougar goes hunting! 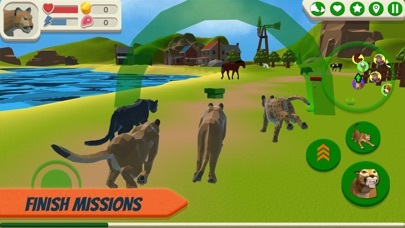 In this simulator you will play for a big cat. You have to hunt animals and take care of your own family. Create your own cougar and go in search of adventure. A large location with forest, rivers, fields and farms is available for research. 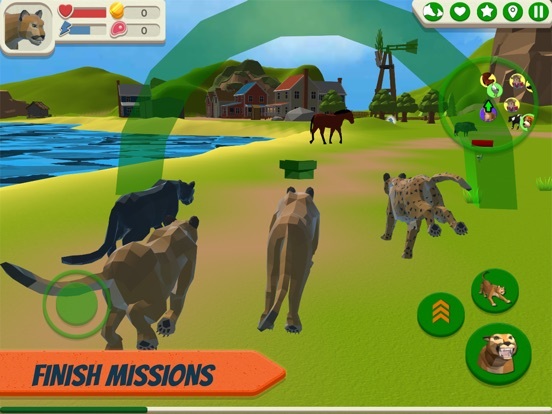 Hunt for animals, make a family, improve your cougar and your family members. Do different tasks and become stronger. 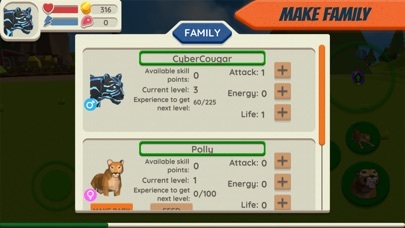 Find out what it means to be a cougar in the new Cougar Simulator. Customize the appearance of the cougar as you like. There are several skins to choose from. If desired, your pet may look like a panther, a jaguar, a cheetah, a leopard or another bright and beautiful big cat. 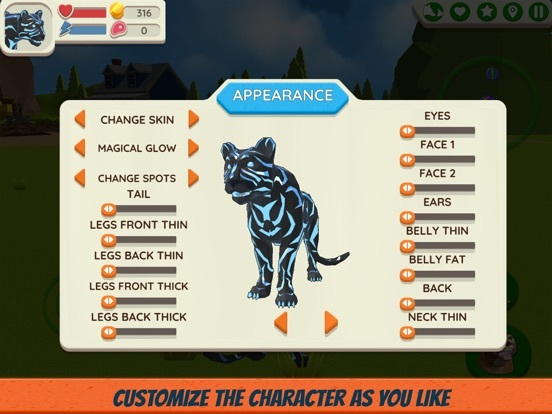 You can adjust the magical glow of a cougar or add spots like a leopard to make the animal look even more impressive. For a more accurate setting, you can change: tail, eyes, ears, belly, neck, legs and back. Let your animal look the way you like. You can create a family if you find another cougar. 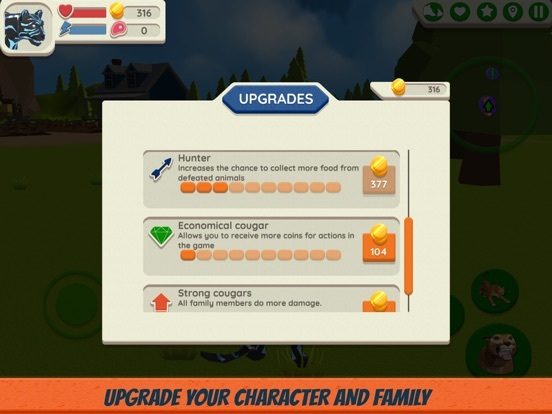 When you create a family and become an experienced cougar, you will be able to make babies. 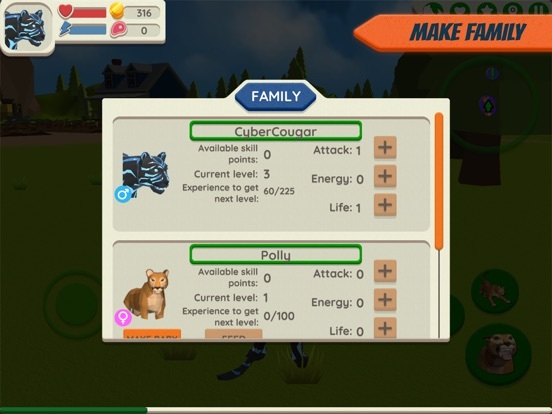 Your family can help you in combat and hunting. There is an opportunity to improve the characters of the family. To do this, it is necessary to hunt and collect food in order to feed the children and the wife (the husband, for the female character) in the future. The game has the ability to improve the individual characteristics of family members and characteristics that affect all cougars in the family at once. Do not forget to improve the characters! 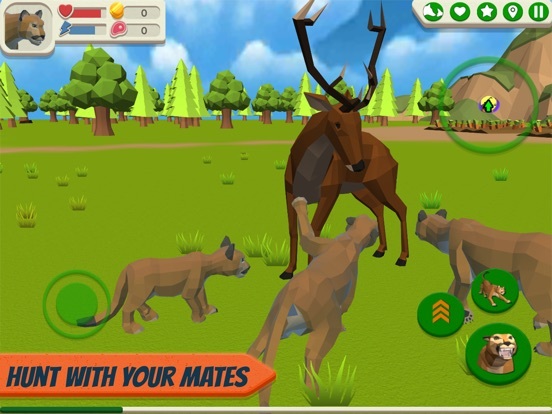 Get experience doing tasks and hunting. 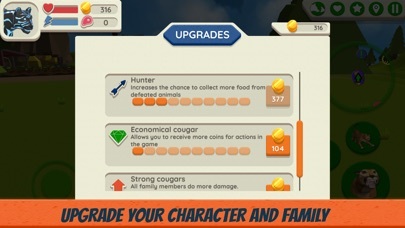 After receiving a level, the character can spend it on points of attack, energy or life. There are also special skills that allow you to increase speed, collect more food, get more resources for actions in the game, etc. In your journey, you will meet many different creatures. For example, on the farm you can meet chicken, rooster, chicken, cow, goat, ram, sheep, cat, dog, pig, horse and, of course, people. In the forest, in addition to the peace-loving deer, wild boar, goat and sheep, you can meet dangerous predators - wolves, snakes and even a huge spider! But do not worry, brave cougar will cope with it! In this large open world, you can travel with your family along forests, farms, rivers and fields. Take part in various tasks! All over the world you can find other big cats that need your help. You can perform various tasks in order to gain experience and coins for improvements. 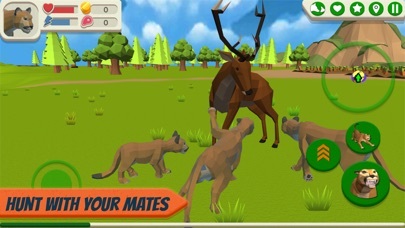 You have to hunt other animals, help to find, collect, plant, deliver, destroy different objects. 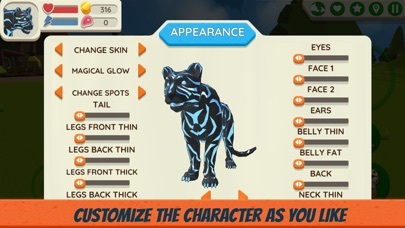 In addition, some characters hold competitions of big cats! Do you want to know who is faster: a puma or a panther? Or to compete with cheetah, leopard, panther? Then you should try playing Cougar Simulator. 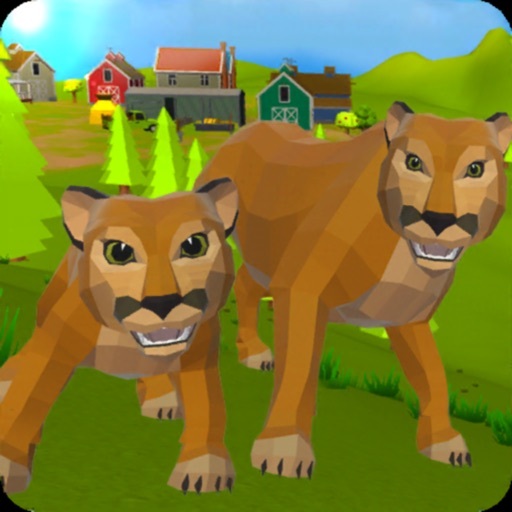 Have fun in the Cougar Simulator: Big Cat Family Game!